You wake up and slowly roll out of bed before grunting and shuffling your way to the bathroom. You can't remember the last time you woke up without a stiff, painful back. But you do remember how your adventure with back pain started. Blame it on an old football war injury. Back issues have followed you around since High School. Up until you were about 18, you were the picture of health. You were on the varsity football team, and you were preparing for one of the biggest games of the year. It was senior day and if you won you were in the playoffs. As the starting tight-end, your team depended on you a lot. And a couple of minutes into the game you caught a pass over the middle before getting torpedoed in the lower-back. You remember it like yesterday. At the time, it hurt but didn’t seem that bad. Your adrenaline carried you through the game. But when you woke up the next morning you could hardly move. Flash-forward 20 years and you’re still suffering the effects of that hit. The pain and stiffness comes and goes, but it seems like the injury is there for the long-run. You were talking to an old football teammate who dealt with back pain just like you. He recommended that you try yoga as a way to rehab, heal, and strengthen your back. At first, you scoffed and laughed it off. How can something so girly and light make a difference? You’re a football player by nature, not a ballerina or some monk. But after doing some research, you think your friend might be onto something. Before you dedicate yourself to a yoga practice, what are the back-related benefits of yoga? Yoga is a form a physical exercise that uses a series of poses called Asanas, that are triggered by your breathing. The poses range from very complicated to simple and help strengthen your body and mind from the inside-out. Strengthen: Yoga is a fantastic way to strengthen every muscle in your back. Unlike a traditional form of exercise, like weight-lifting, yoga targets your entire back. It hits your stabilizers and encourages all your muscles to work together in synergy to complete the full body movements that yoga requires. Stretching: One of the biggest problems with a back injury is the stiffness that comes with it. Everyone who’s suffered from a back injury can attest; it can even be hard to get out of bed at times. Yoga helps gently and safely stretch your back to improve its flexibility and mobility. Yoga is especially effective at stretching your back because instead of trying to loosen cold muscles, it gently stretches and activates warm muscles over an entire workout. Relaxation: Sometimes the root cause of your back pain is tightness. This tightness can lead to increased pressure on the spine and result in discomfort, pain, and certain conditions. Yoga relieves this pressure through a variety of poses and loosens the muscles supporting your spine to restore balance and comfort. Posture: Days spent hunched over computers and smart devices can cause even the most health-conscious of us to suffer from bad posture. Poor posture may not seem like a big deal, but improper spine-alignment can come with a variety of problems that worsen over time. Yoga helps both strengthen the stabilizers in your back and helps improve the awareness of your posture, which leads me to my next point. Awareness: One of the main benefits of yoga is the body awareness that comes with it. By breathing into your muscles and your back, it improves your body awareness and can help you feel when your back problems start to flare up. By becoming more conscious of your back, you can encourage better spine-alignment and postural habits throughout the day. While yoga might seem like a gentle exercise for girls, the benefits are very real. And when it comes to promoting a healthy back, there’s not many habits that can make more of an impact than yoga. Other forms of exercise just focus on strengthening your back. Yoga simultaneously increases your backs strength, flexibility, and mobility in one felt swoop. If you’re dealing with back pain that just won’t go away, give it a try. You won’t be disappointed. If you’re suffering from back issues and you don’t think yoga is enough to deal with your condition, book an appointment with us online today. 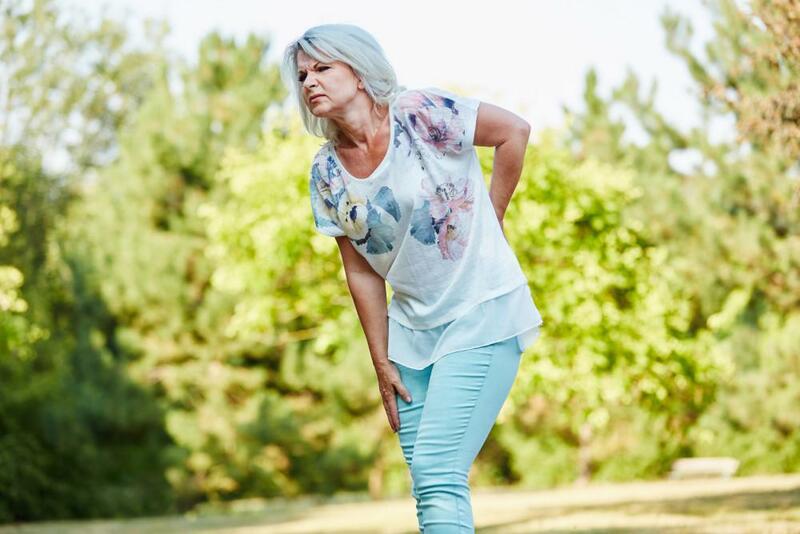 Our experts will diagnose your issue and give you a comprehensive plan to get your back to full strength in no time. Have you ever tried yoga? What was your experience like?